This is a most interesting photo from the Gareth Mills Collection. 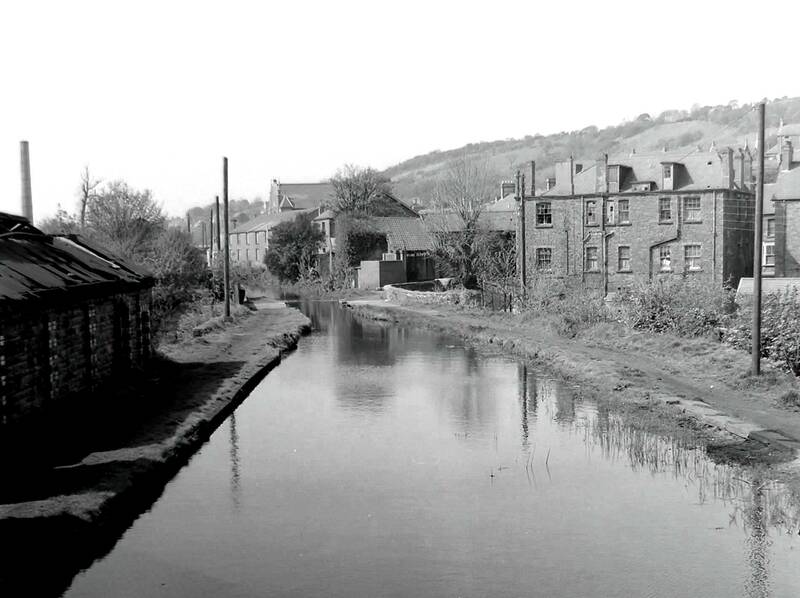 It was taken in the early sixties and it’s location along the canal is given as ‘Unknown’. At first I could not identify it either. But there are several clues. Firstly, the church peeping above the other buildings with its unusual ‘minarets’ can only be the one in Hebron Road. Secondly, the sweep of the stone wall in the middle distance to the right indicates a footpath entrance to the canal tow-path. Thirdly, the building facade at the bottom left has ornamental brickwork around the windows. This is the old Pump House next to Pont John bridge. So we are looking south down the canal from the bridge towards the top of the Clydach Aqueduct as it overflows into the Lower Clydach River and the Tawe. The large building to the right is no more and is now the site of the car park for the Dynamic Rock Climbing Centre (which can just be seen to the extreme right of the picture). This is the same view taken in August 2013. 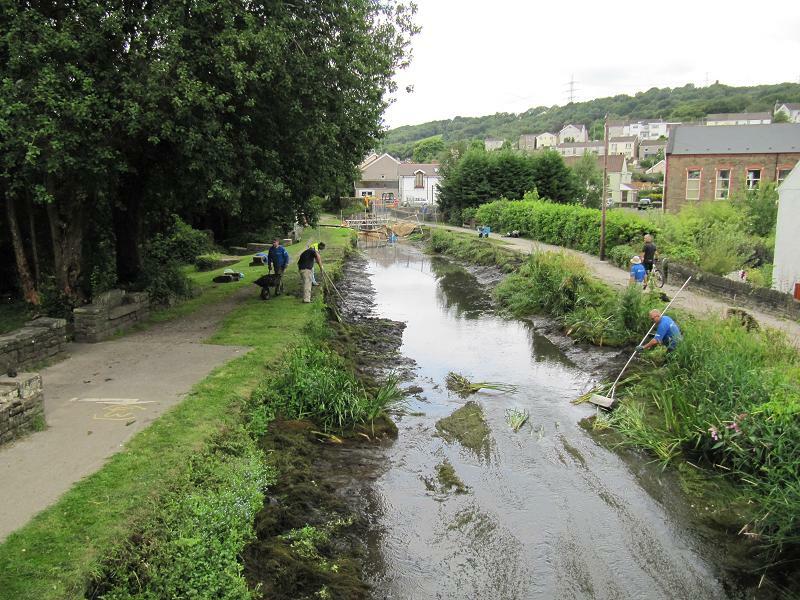 The Aqueduct is being repointed and our volunteers take the opportunity, while the water level is kept low, to clear the channel. The building housing Dynamic Rock is the only constant in the two pictures. Hebron Road Church is now completely obscured by trees.